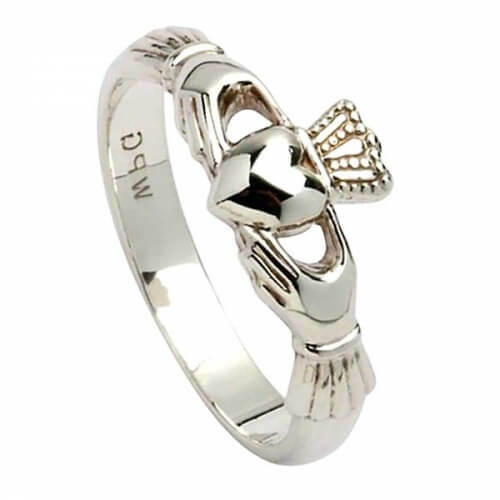 Inspired by the Chrysler building in New York, this women's Claddagh ring comes with Trinity knot cuffs. The Claddagh design represents love, loyalty and friendship. An ideal gift for that special woman in your life. Handcrafted with care in Dublin, Ireland. 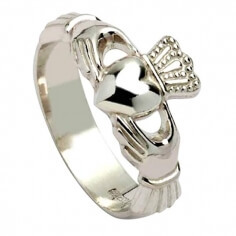 Service rating : Was helped through all the steps of ordering the ring and also with some problems encountered by the Italian courier. 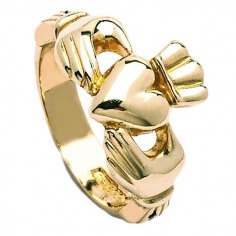 Buying jewellery online can be risky and would normally have made me a nervous wreck, especially as this is my wedding ring, but they really make it completely painless ! The ring is beautiful and precisely what I wanted. Would love to persuade hubby to ger me something else soon as possible! Service rating : I could not be happier with the customer service I received. 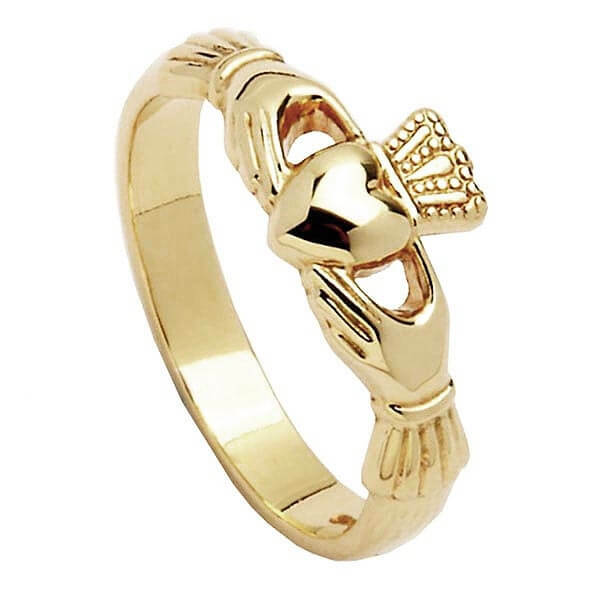 Product : The ring was absolutely perfect! Everything I had hoped for.